The future of Sami Khedira ranks alongside that of Angel Di Maria as the longest running and most drawn out of the summer transfer sagas afflicting Real Madrid. The 27 year-old who last month won the World Cup with Germany in Brazil has just 12 months to run on his current deal at the Bernabeu. There has been no indication that Perez or Ancelotti are overly eager to hold to talks to extend the midfielder’s stay and, as such, media outlets have legitimately begun to speculate that this is where Khedira’s time in Madrid ends. A) Extending the contract and increasing the wage of a 27 year-old footballer who has had a poor track record with injuries of late when the club possess plenty of strength in depth in the middle of the park. B) Not offering Khedira a new contact and allowing him to move on a Bosman transfer in the summer. Option A does not appear likely. The arrival of Khedira’s countryman, Toni Kroos, certainly makes it difficult to see where Sami will fit into the starting XI in the coming campaign, particularly given Modric’s improvement last season and Illarramendi’s clear growth potential. 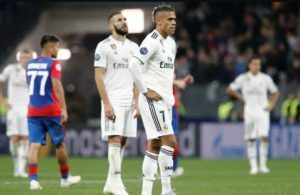 The fact that Ancelotti started Khedira in the Champions League Final ahead of Illarramendi despite his lack of match fitness did suggest that the Italian might favour keeping hold of Khedira for another season until the Spanish youngster grows in experience. However, the only way that Illarramendi will become the footballer that the €30 million fee he commanded last season suggests that he could be is to let him play and prove his credentials on the biggest stage. Option B is similarly unappealing owing to the fact that, although no longer a first-teamer at Real, Khedira is still a very fine footballer as his performances in the World Cup well demonstrated. The midfielder would command a considerable fee in the market (although, like Kroos, his price will drop owing to the fact that he will be available for free next summer) and, in the era of Financial Fair Play, even a club with Real’s financial strength cannot afford to write off a fee in the region of €15-20 million. This is particularly true in the context of the €80 million paid to acquire James from Monaco. Perez knows that Real need to recoups some of that expenditure to avoid UEFA sanction. As it stands, Arsenal and Chelsea are the clubs best placed to acquire Khedira’s signature and it makes sense for Real to sell. One can envisage this transfer tug-of-war running into late August, perhaps to the last day of the transfer window, before it is resolved. But Real’s stated intention to keep hold of Khedira is just posturing; all signs signal for the exit door. 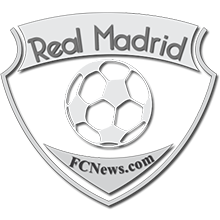 ← Previous Story Who Should be Between the Posts for Real Madrid this Season? Next Story → Falcao Headed for the Bernabeu?